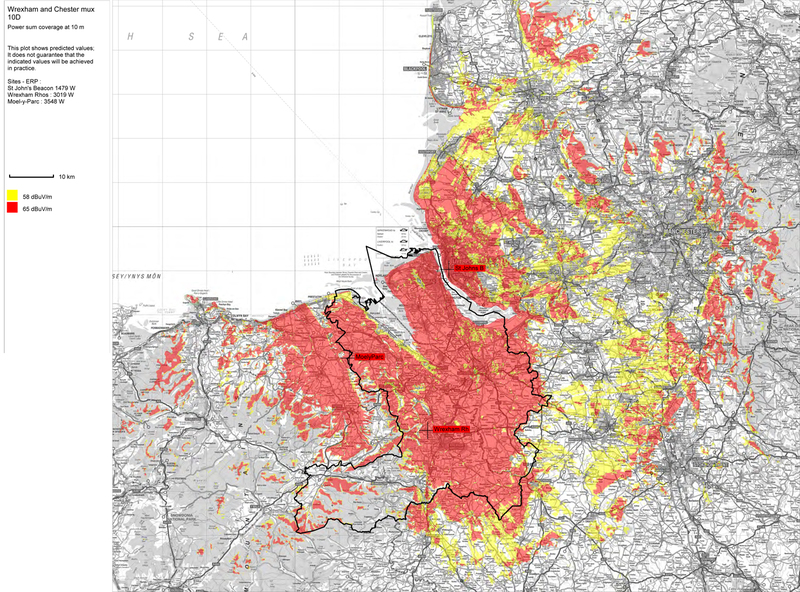 The PPA for NE Wales & W Cheshire covers 421,673 households. Within this defined area, our multiplex covers 368,702 households (87.4%) of these households. The total number of households covered by this multiplex is 810,055. There are no current plans to add any further services in the short-term. If there are any stations that you listen to at the moment on analogue radio that we are not broadcasting, we suggest that you contact those stations directly, encouraging them to join the multiplex. The multiplex is owned by MuxCo North East Wales & West Cheshire Ltd, and launched on 19th March 2013. In the area, 40.1% of radio listening is to digital radio. 53.4% of the county have DAB sets in-home. The multiplex broadcasts from transmitters at Wrexham-Rhos, Moel-Y-Parc and St. John’s Beacon – you can see our coverage here. You can find out Planned Work for this multiplex here.